rajaiswal92 wrote: I was also browsing gunaccessory .com , they have listed a magazine made by them . The description says it helps with the jamming problem , has any body used this magazine ? Did it help in any way ? Whether it is modified by Bobby or any other licensed gunsmith, it is perfectly legal. The only thing one cannot do is modify a firearm in a manner such as to change its type. For example, you cannot change a rifle into a handgun or vice versa, as that would change the "type" of firearm. After years of trying....and never giving up....I got my license and my .32 pistol. Finally !!! Congratulations mate and happy and safe shooting. Got new magazine from gunacessory.com . 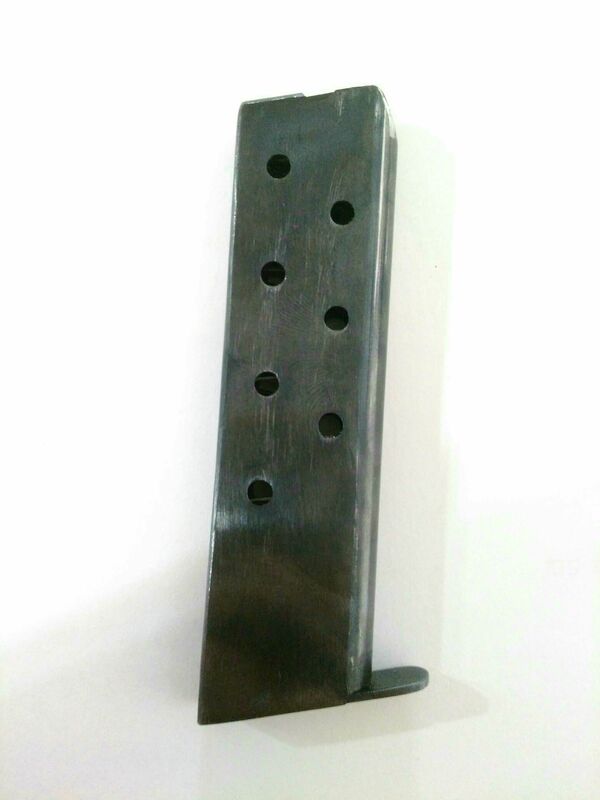 It's made of bit thinner sheet , feed lips are better and made like old pistols ie curved and moves in smoothly, less force needed and fits smoothly​ in Magazine lock safety as there is change in design in front of magazine ,Spring is less strong than original one But they claim that this spring have better tuning than original . I want to buy a .32 pistol IOF Ashani Mk2 but the local dealers are asking exhorbitant price. Can anyone recommend a gun dealership at Kolkata when I can get a good deal? I recently saw a Ruger .22 rimfire pistol in good condition with Paul Gun House in Ludhiana. Can you please help me with the price Paul Gun House is asking for .22 LR Ruger. Today I saw a koshipur pistol and I found the numbering and serial both on slide and on the ejector port plate made of dotted characters. Not only that, I also felt that the supposed serial number had been chiseled into the piece. Whereas other arms I saw always had very clear engraved numbers, did I see a munger ??? Ashani mark 2 launched with external hammer and side button magazine reliese . With modification in magazine also . Hammer is good but I find little problem with magazine engagement . I piece I was was 2/2017 made although it is just launched . Barrel Bushring is also changed now pistol slide need special tool to open slide it is provided with pistol . It can be opened with tool but bit difficult.